This unique book enhances our understanding of the links between professions, the state and the market – and their implications for the public in terms of professional practice. In so doing, the book adopts a neo-Weberian perspective, in which professions are seen as a form of exclusionary social closure based on legal boundaries established by the state. 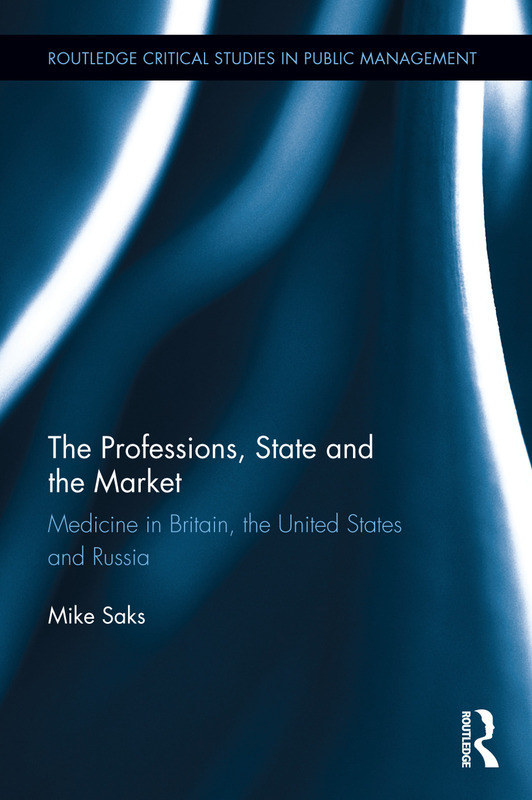 To illustrate the overarching theme, the book considers how healthcare in general, and medicine in particular as a form of professional work, is organized in public and private arenas in three societies with different socio-political philosophies - namely, Britain, the United States and Russia. As such, it examines the varying extent to which the development of independent professional organizations has been enhanced or restricted in public, as compared to more privatized social contexts. The comparative perspective adopted in this book thereby provides insight into the organization of professional work in different contexts and the all-important effects of this on delivery to the public. This book will be of particular interest to scholars, researchers and students of Management, Public Policy and Health Care. Mike Saks is Research Professor in Health Policy at University Campus Suffolk, UK, and Visiting Professor at the University of Lincoln, UK, and the University of Toronto, Canada. He has published over a dozen books with top publishers on professions, health care and research methods.